It’s another beautiful day with some humidity tomorrow rain and lower temps. Temps will be in the 60’s a few days next week my kind of weather. 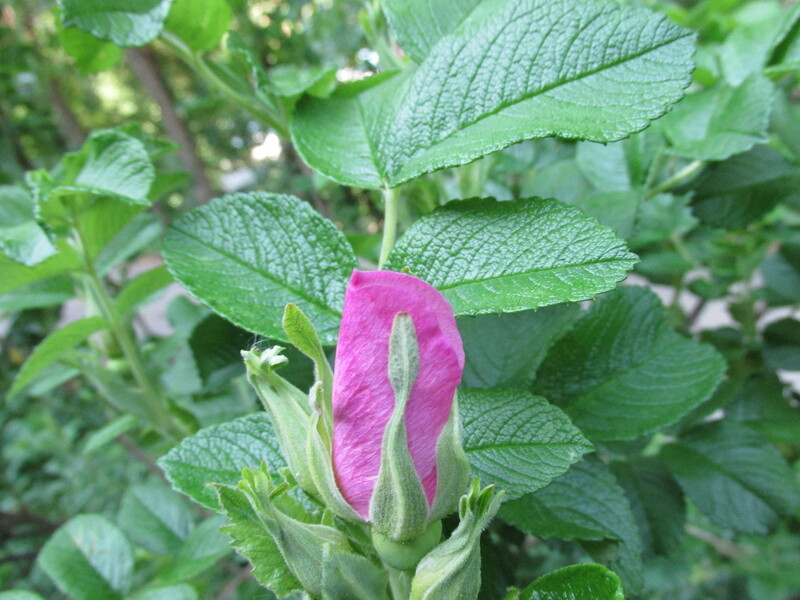 The first rose of summer is on my Rugosa bushes. 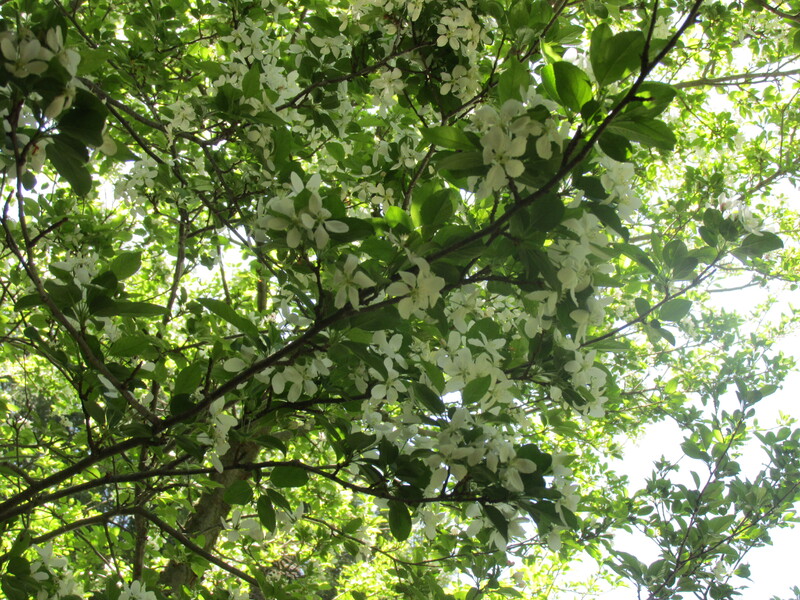 I can’t wait for their blooms to open and a summer of wonderful aroma. 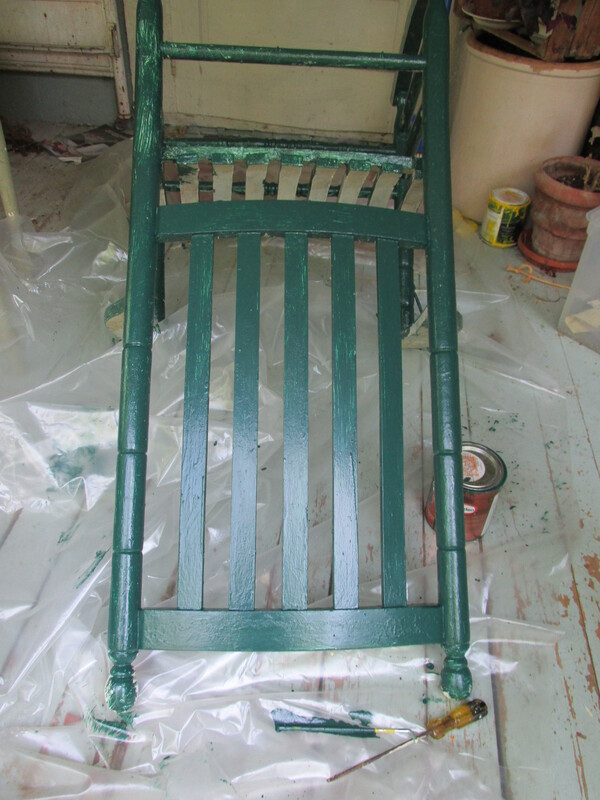 I am repainting the old rocker back to its original color. This rocker, as some of you know, was on my Grandparents porch in Maryland. After a long days work on the Pennsylvania Railroad my grandfather would relax on the porch in his rocker. Those days were filed with excitement and fun. Swimming in the Susquehanna River with my cousins, walks down the train tracks with my Grandfather, checking out the caboose, picking the biggest blackberries I have ever seen and eating cucumbers right out of the garden. My Grandmother making us all fresh tomato sandwiches and extra for the Hobo’s that she fed often. Those were the days when men who couldn’t find work rode the rails looking for work all over the country. They often had no money or food to eat and were so appreciative of a fresh tomato sandwich and good water from the well. I hope to have it finished in a few days and have a few more porch chairs to paint this year. I have been making my own vanilla way before Martha Stewart did it. Now all my children make it. 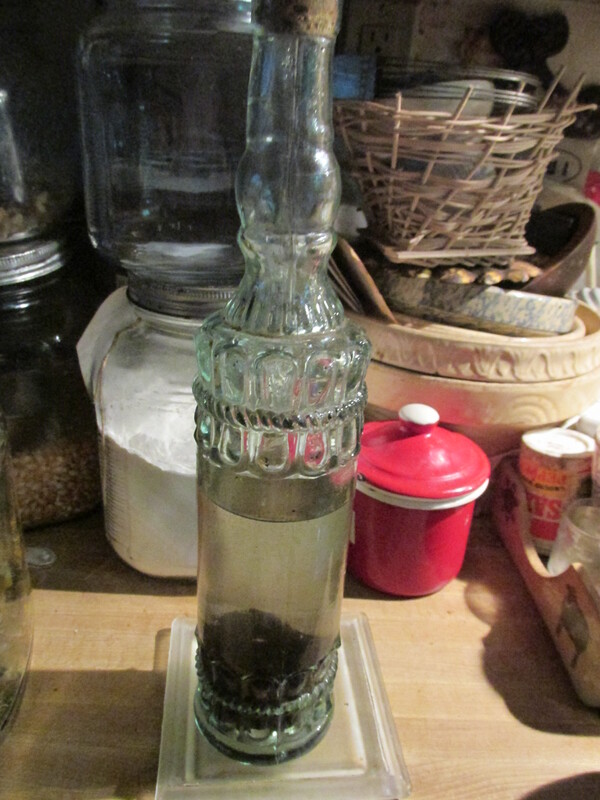 I had used up the last of it and add more organic vanilla beans and some more vodka. Its only been steeping for a day and it already smells like vanilla. 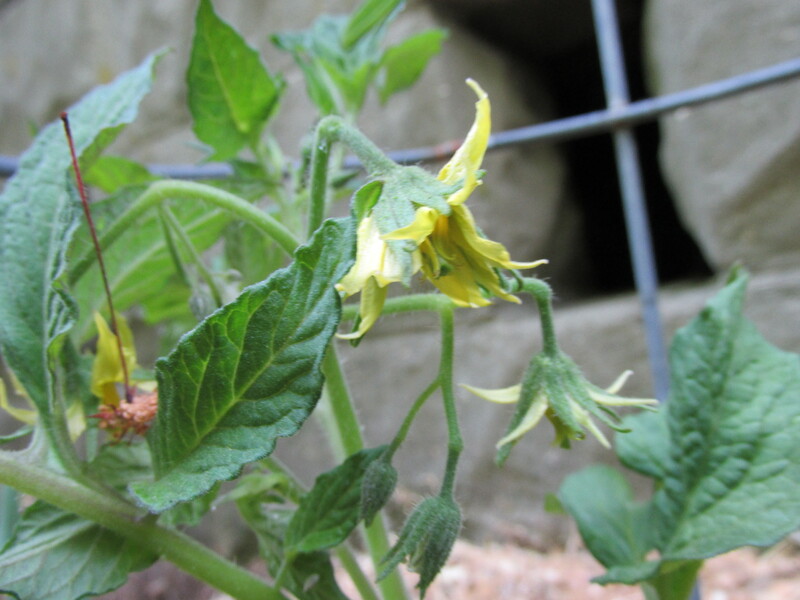 I planted a single purple tomato plant a few days ago and it already has a blossom on it. 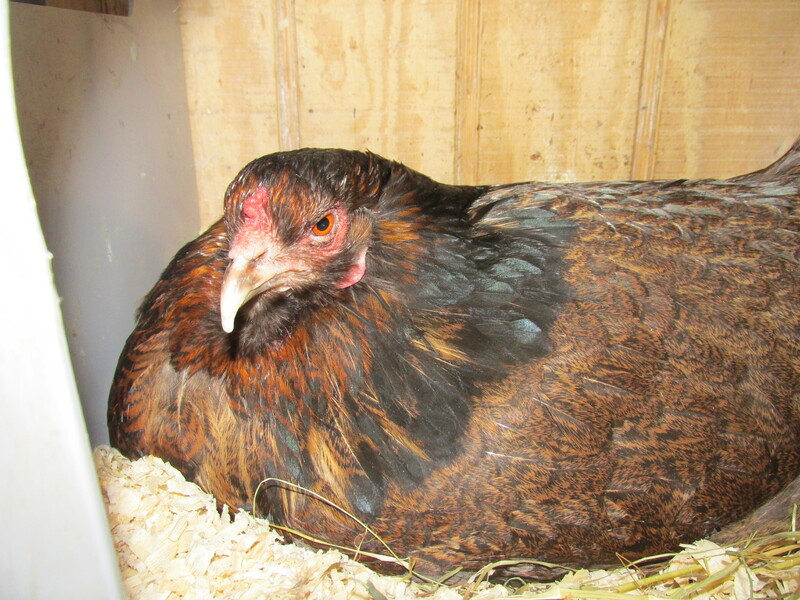 WHERE DOES OUR FOOD COME FROM-NEST DISCOVERY-JAMMIE DODGERS-BAY TREE-HAZEL AND MRS BROWN. Much needed rain came last night with heart pounding thunderstorms. We may get more of the same later this morning. The farmer I buy my tomatoes plants and corn from is investing in an irrigations system this year. It’s probably a smart move t get it now the way the weather is changing. Tonight the humid air has gone and its a lot cooler. Great sleeping weather. I bought a few veggie plants yesterday including fennel which I have never grow. Upon reading many articles about more and more food coming from China I have spent more time in the grocery store throughly checking labels of food I intend to buy. I wanted to make Ambrosia, a delightful treat that my Aunt Helen used to make and while its loaded with bad things once in a while is fine in my book. I went down the canned fruit isle and to my surprise nothing I wanted to buy there came from the states. Pineapple was the most surprising, I always though that it came from Hawaii. mandarin Oranges , China. I am really trying not to buy items from CHina but it’s extremely hard. I just bought a printer last week and of course its made in CHina, I had no choice. I really hope that we as a country can get back l all the jobs that were lost to China and come back to having safe foods. Its located in the apple tree. 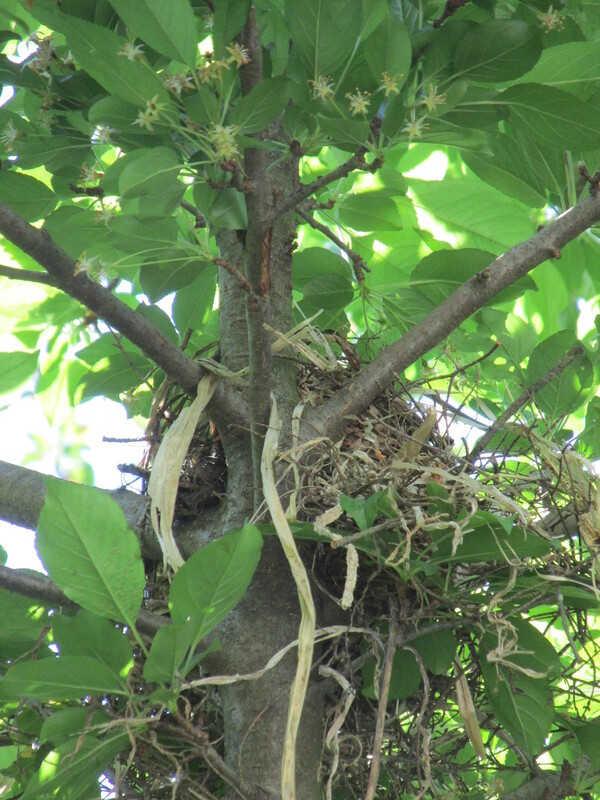 Don’t know what kind of bird lives in it but it could be a Baltimore Oriole nest. I also saw a robin nearby buy its kind of elaborate for a Robin. Last years dried out pumpkin vines are woven into the nest and the ends flying in the breeze. 2 packages of these gems came in the mail today from Cindy. They are hard to find and when she does find them she puts them in the mail. I found these on my first trip to Ireland and they are non GMO . 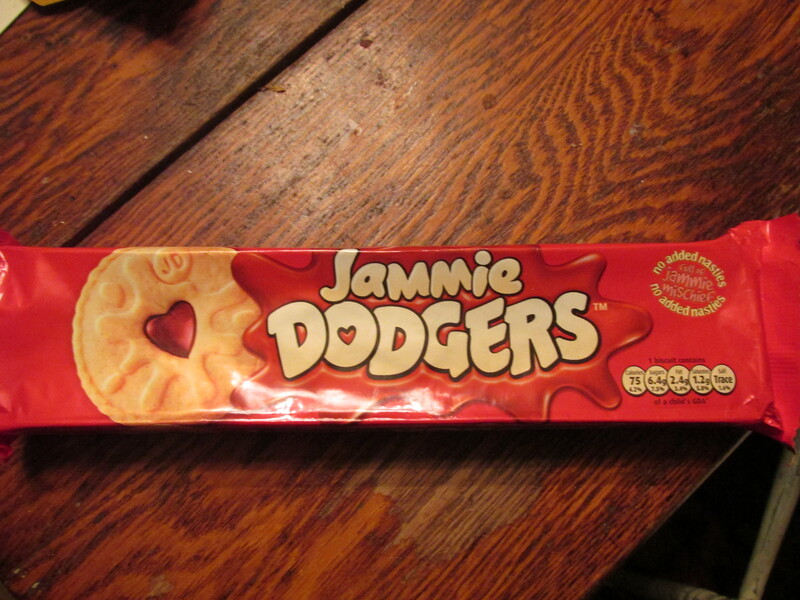 Great with a cuppa. 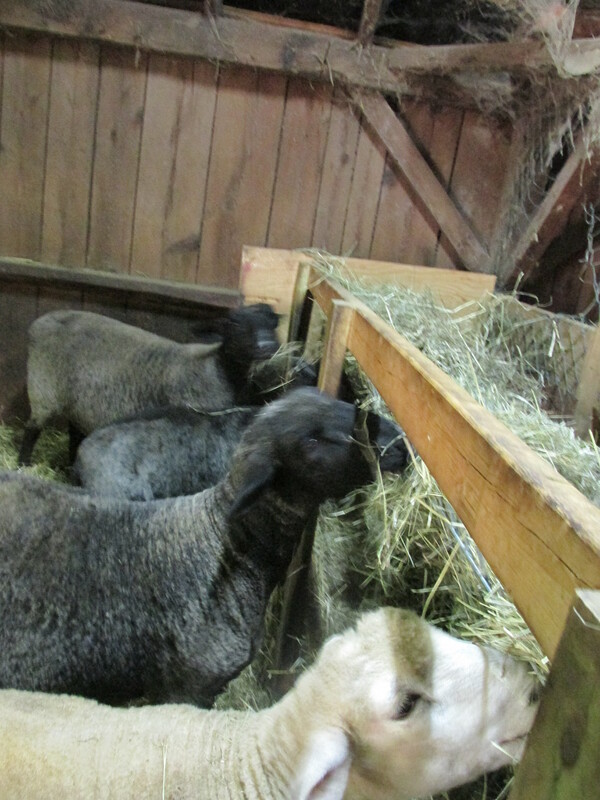 I lock them in their house every night and tonight was a perfect night to sit with them till they were ready to go in. 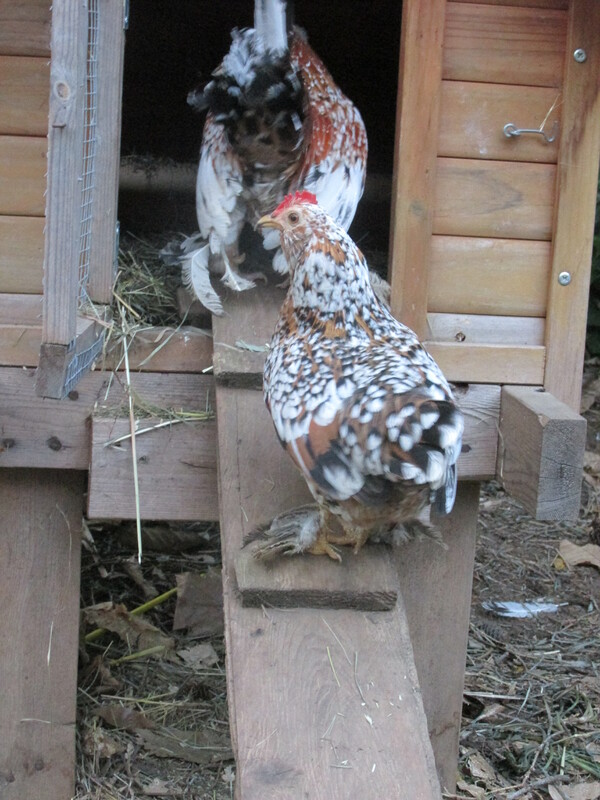 WHen I got out there he was inside fluffing up the nest and calling for her. She just wasn’t ready to go in and he kept calling and calling finally he went out and followed her around. Both chatting to each other. I think he was saying its time to get into bed and she was saying I would like to find one more bug. 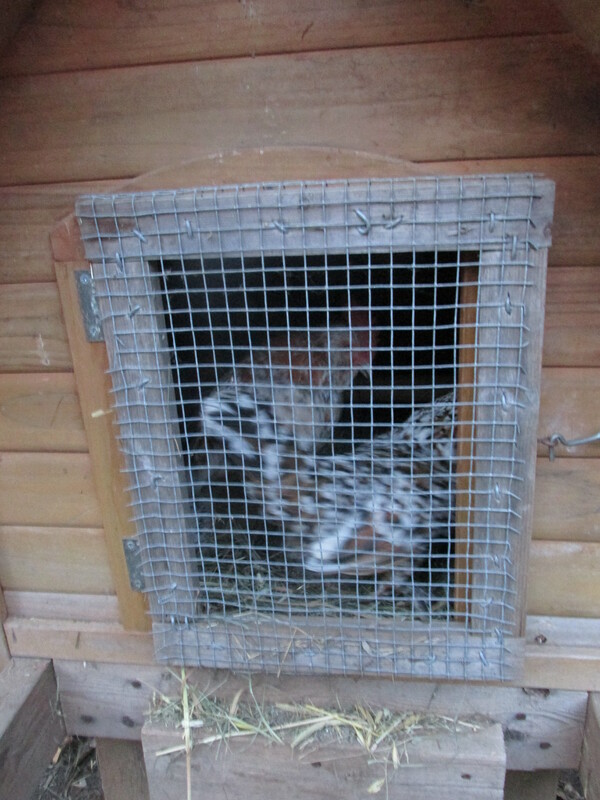 THey are settled in for the night now still chatting to each other. 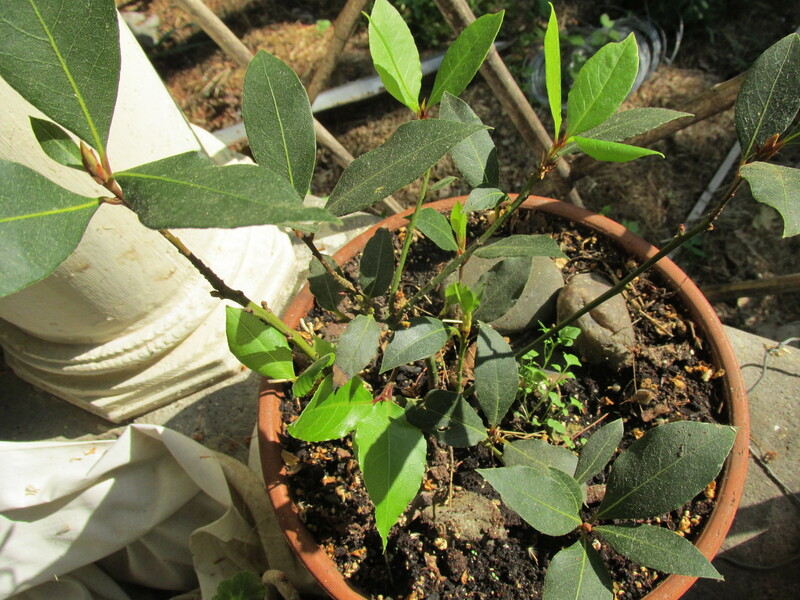 My bay tree is showing a lot of new growth. 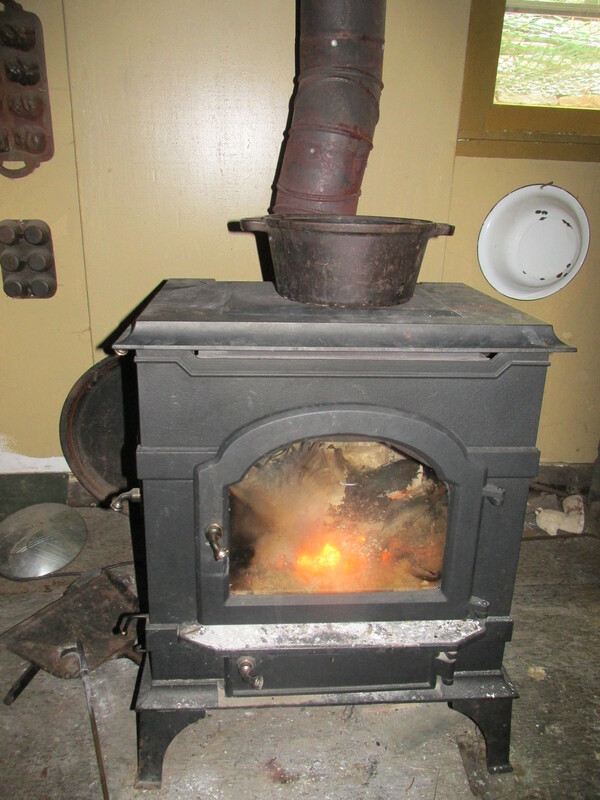 I used it so much during the winter for soup and stews. I think I will repot it soon. Clouds and sun today with temps soaring near the 90’s. 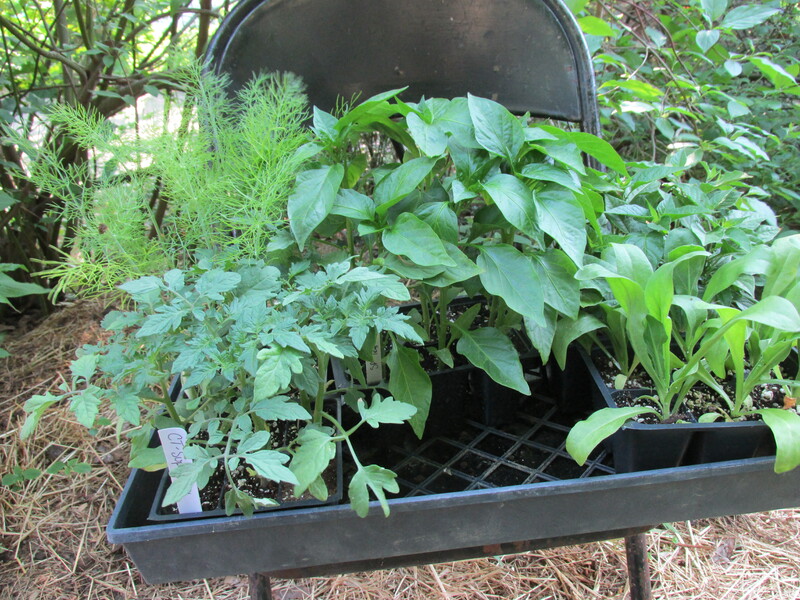 I am going to plant some herbs before it gets too hot. The show was great I think there was more people there Something to see and do for every member of the family. I saw so many old friends and co-workers and got rid of much of my weaving things. Glad we had nice cool weather. I am trying to get a head start on drying peppermint. 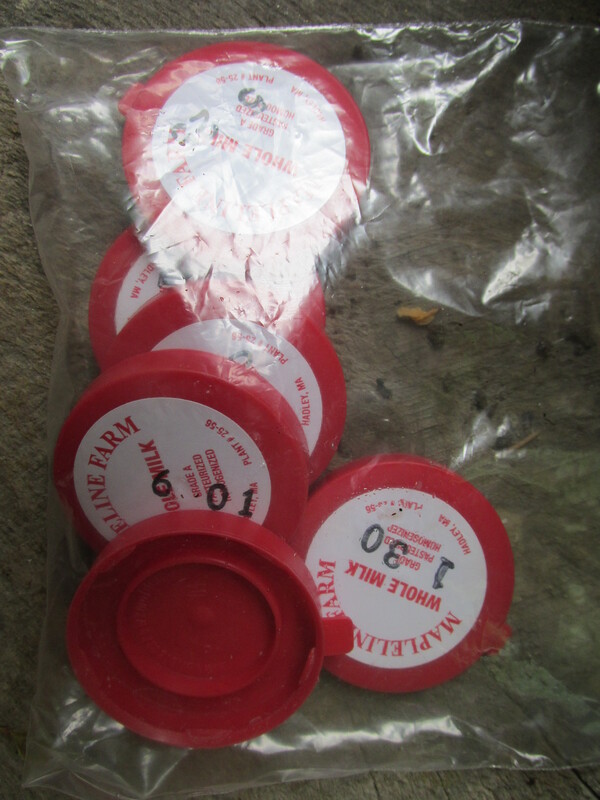 Not only am I going to use it in teas but will use it in the chicken’s nesting boxes next winter. Three of my friends brought me three wonderful and different presents while I was at the fair/. Lisa of Spinners Hill Farm brought me this wonderful pottery cullender with a llama on it in memory of Elliott.. We both know farm loss all to well, she lost her faithful dog companion this spring. Her Mom helped me with my first rug hooking. We see each other about once a year but keep in touch through-out the year via internet. I put this geranium in it till i can get it planted but plan to use it for draining fruit and herbs after washing them. Just the right size for a quart of blueberries. 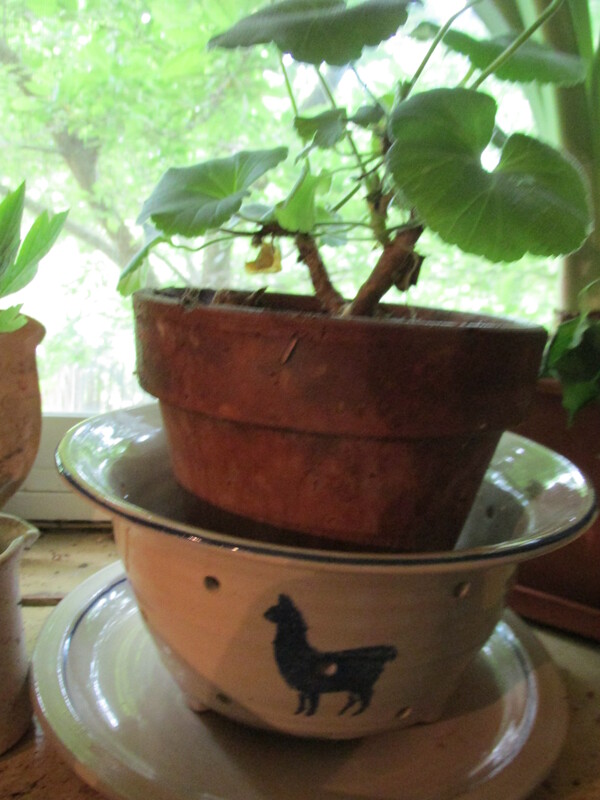 I have been collecting this pottery for years and love it. I try to buy a few pieces every year this year it was plates. My blogger friend Patti had another surprise for me. Some caps for my Milk bottles. I am so happy with them, what a great surprise. SHe gets her milk delivered. Its wonderful that in some communities that its still happening. 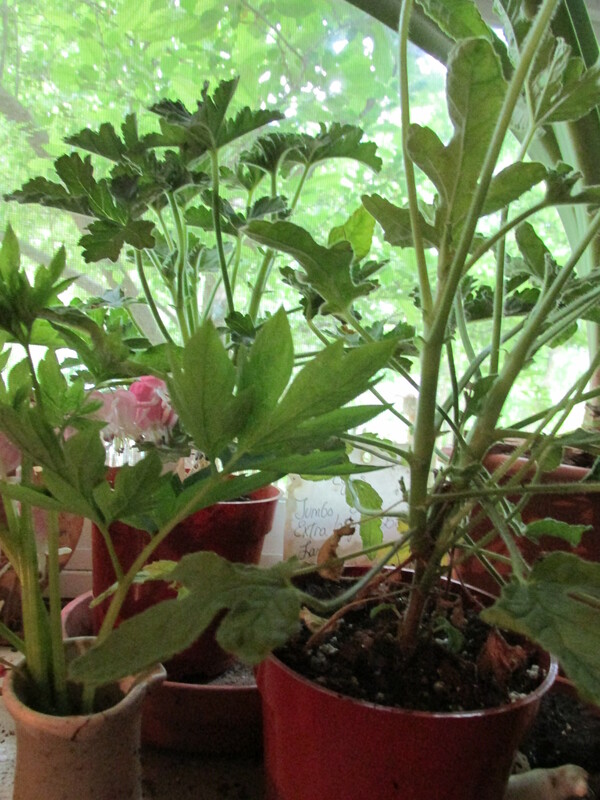 And last but not east my friend Susan of SUsan’s Home and Garden brought me some wonderful rose scented geraniums. They are very hard to find and she usually has a few. I will use the dried leaves in many things. To all a heartfelt thank you. 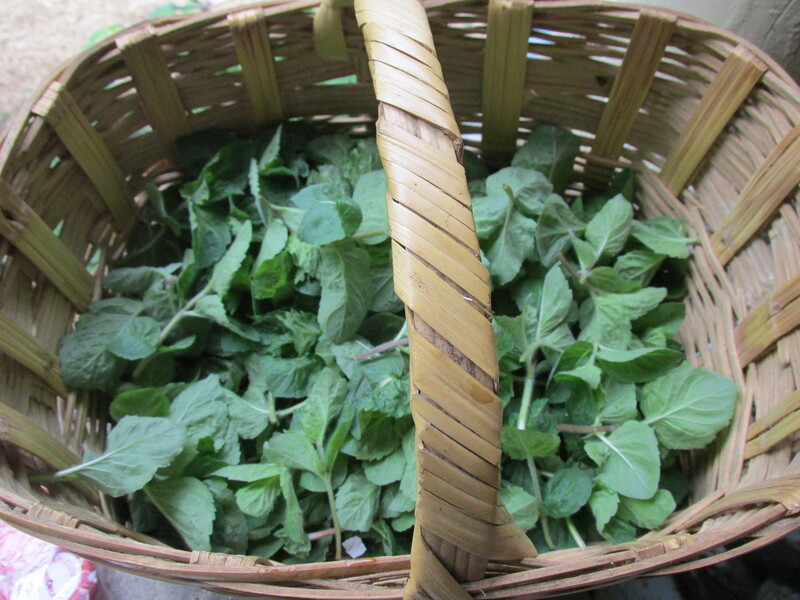 Yesterday morning I gathered the first bunch of peppermint. 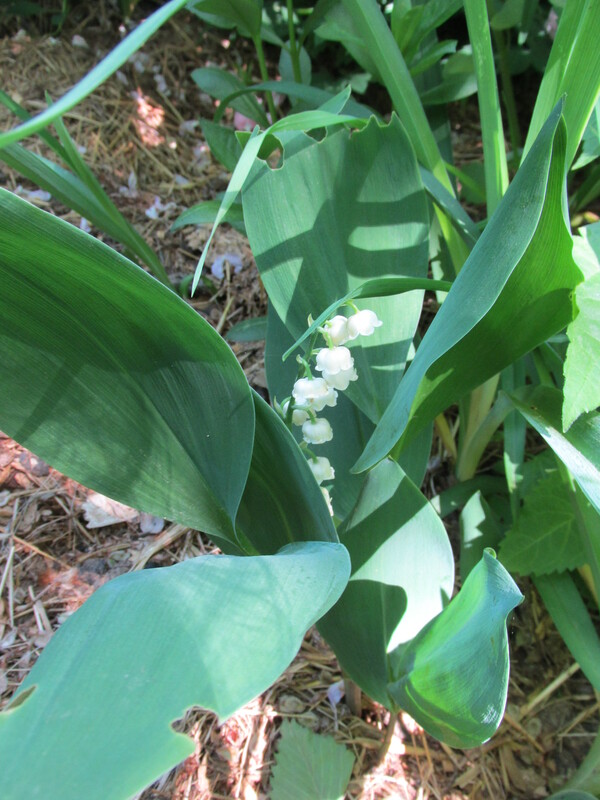 Walking back to the stairs I spotted this lone Lilly of the Valley.My Great-Grandmother had some in her yard and I just loved the smell. It was such a nice treat to find this one. 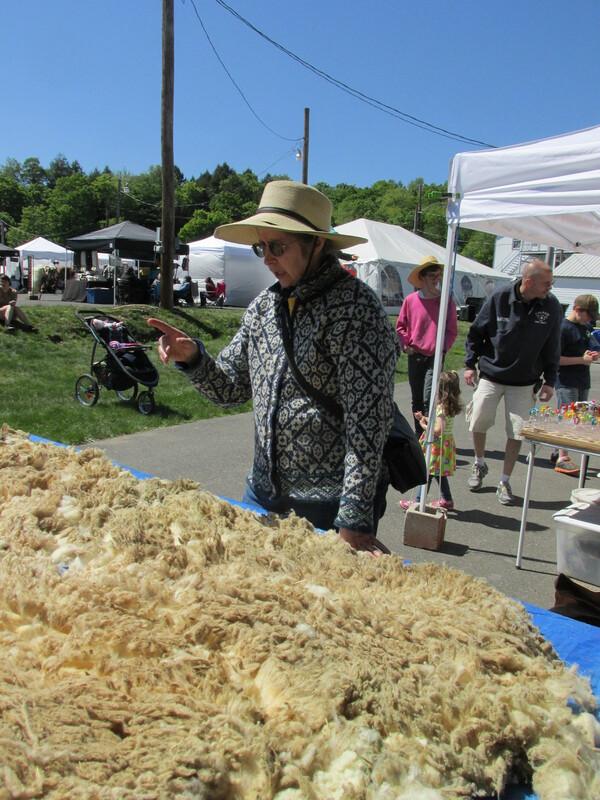 Barbara Goodchild will be giving another skirting demo today at the fest. This is not to be missed if you want to buy, sell or send out fleece to a mill. 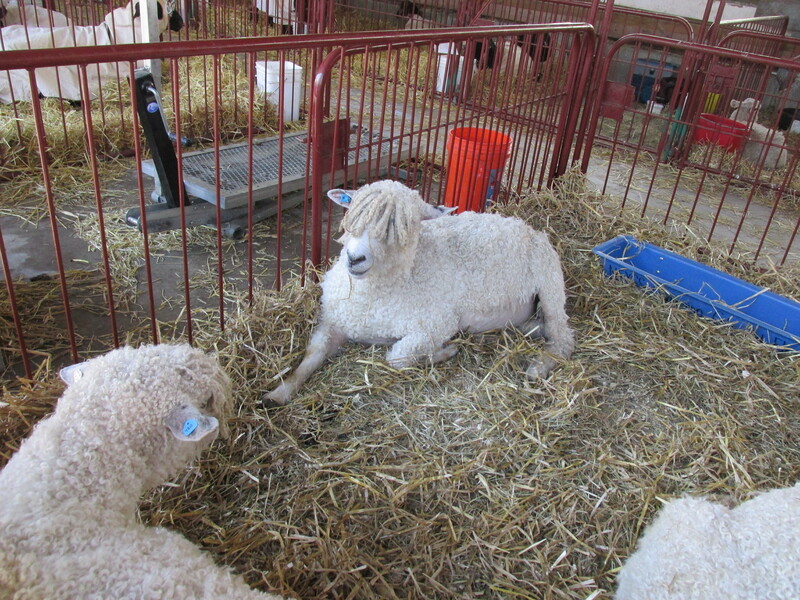 I am giving tips at the demo on fleece preparation. Come join us. We finally had a good soaking rain the night before last we needed it and more.. Plants look much happier now . Calling for a chance of frost here tonight, it got cold and windy today. Its suppose to be a good Memorial Day Weekend so much need yard work will get done on Monday after the parade. The fields of dandelions are turning while with pieces of fluff flying in the air. my picking was done at just the right time. 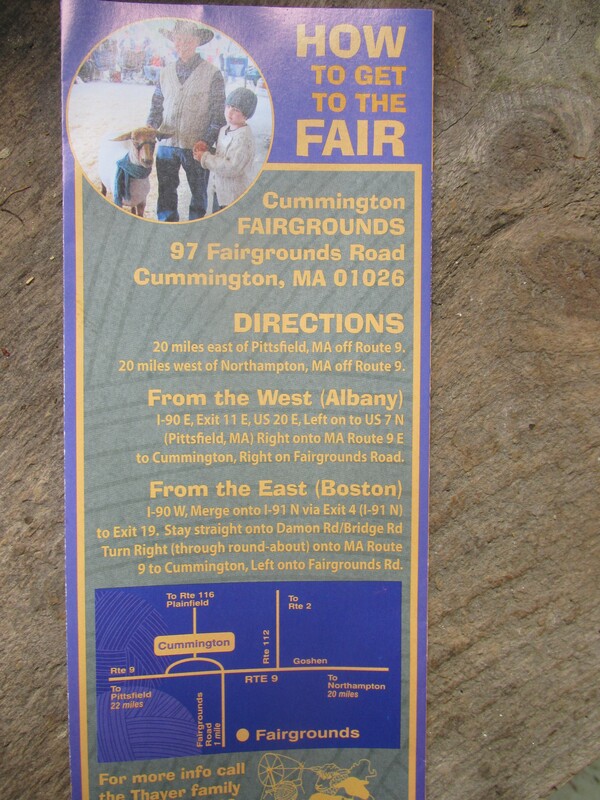 I will be packing up and setting up my booth on Friday looking forward to a great weekend. It’s such a wonderful show and growing each year.All sorts of demo’s will be going on, lots of entertaining sheep and of course the working sheep dogs. 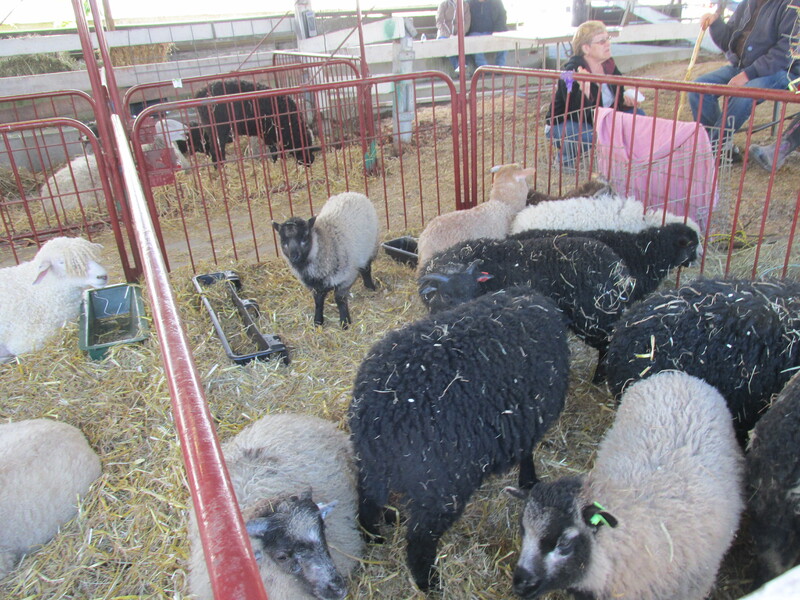 If you need any type of wool product you can most likely find it here. 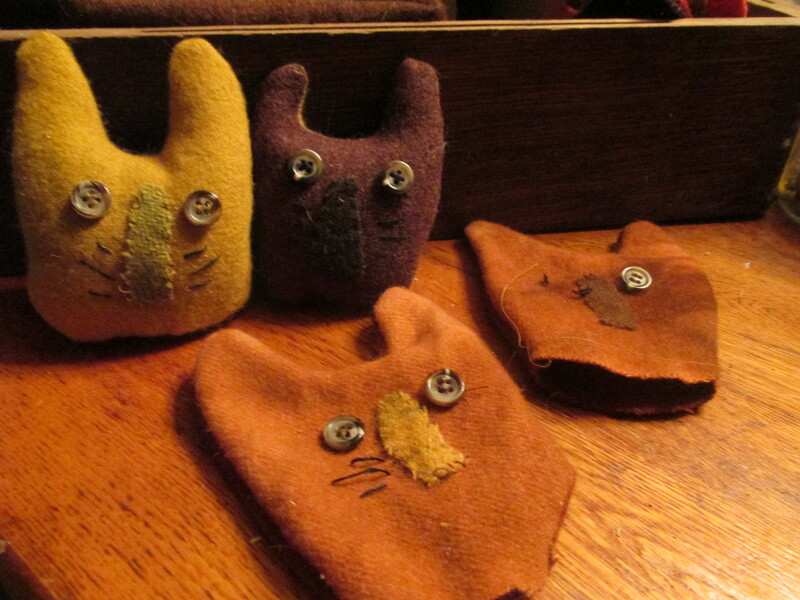 I am working on the Cat Pin Cushions today. It’s a fun project and they make cute gifts. They are filled with crushed walnut shells to keep your needles sharp. I am officially loomless as of yesterday. I started weaving taking a 3 year course at Hill Institute in FLorence, Ma. in the early 90’s. I didn’t know a warp from a weft when I first started the class. I made lots of wonderful things but haven’t woven in over 10 years and it was time for the looms to go. 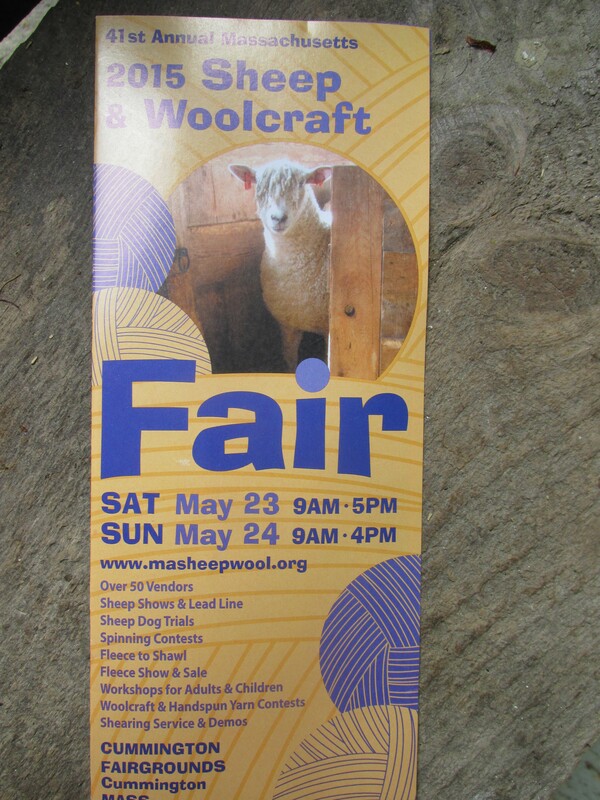 I will have some of my weaving equipment for sale at the show. Its hot and humid today. One of the apple trees needed more sunlight so I trimmed back the forsythia and cut it up and gathered the branches to use as kindling next winter. 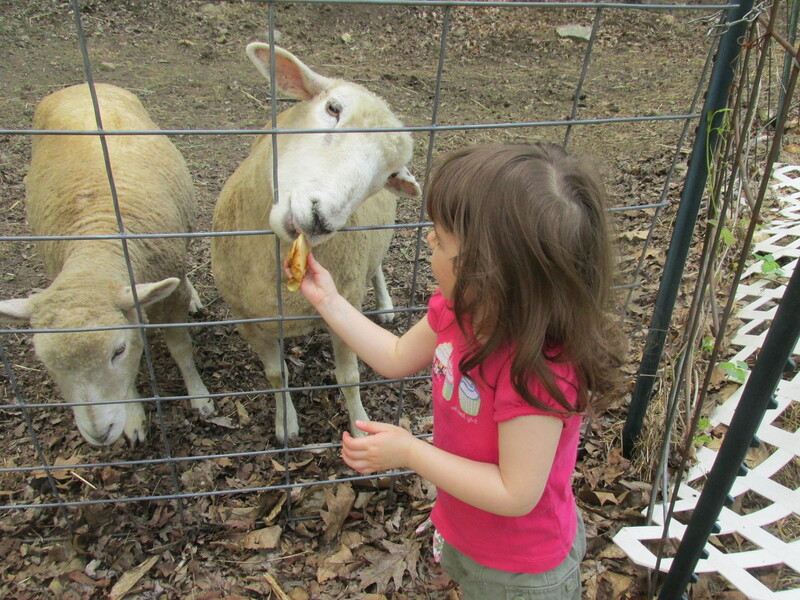 Lil had apple peels for the sheep. She loves feeding them. Lilac’s have always been my favorite flower. I adore the smell and love their shape. 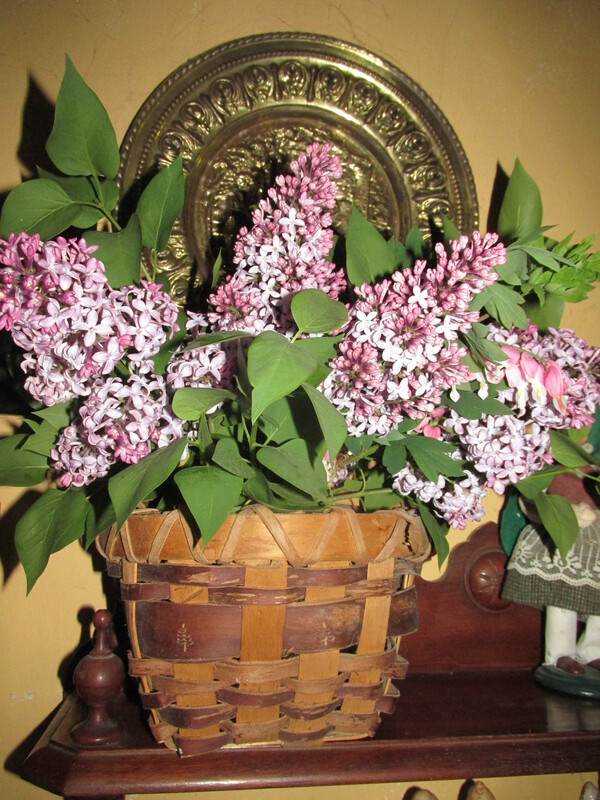 In most places I have lived I have had a lilac bush. Last year I planted 3 young plants which are growing well and this year I dug up some and planted them on Elliott’s resting place. 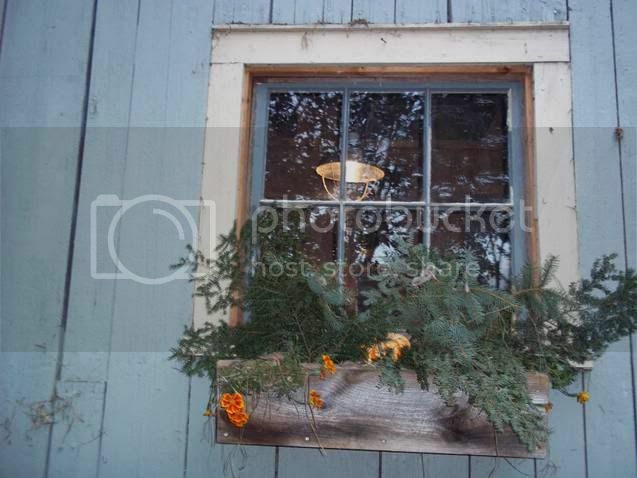 I have several very old bushes in the back of the house and they are doubles I picked a bouquet and put it in my diningroom. I am so busy during the day I forget they are there and then walking by then gives me an immediate sense happiness. Too bad the season is so short. 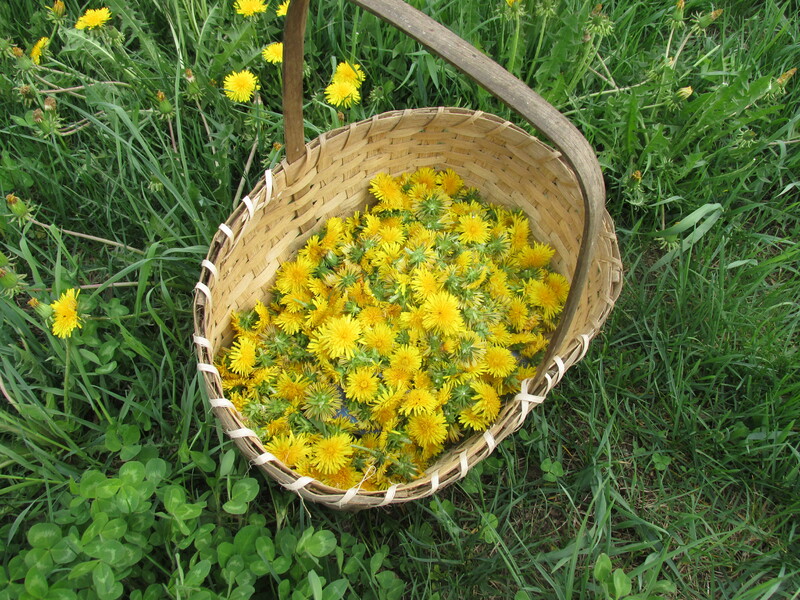 I picked more dandelions yesterday and they are now dry. 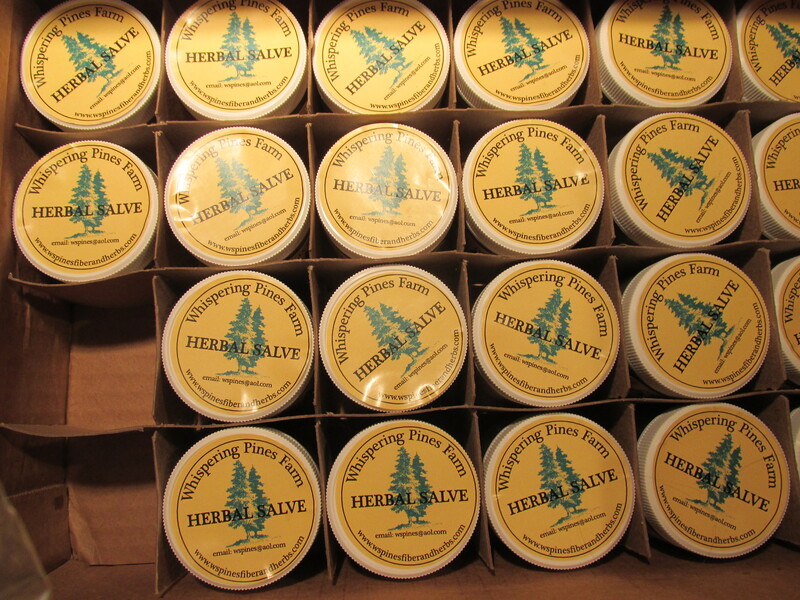 I am sure I have enough for a couple of batches of soap. 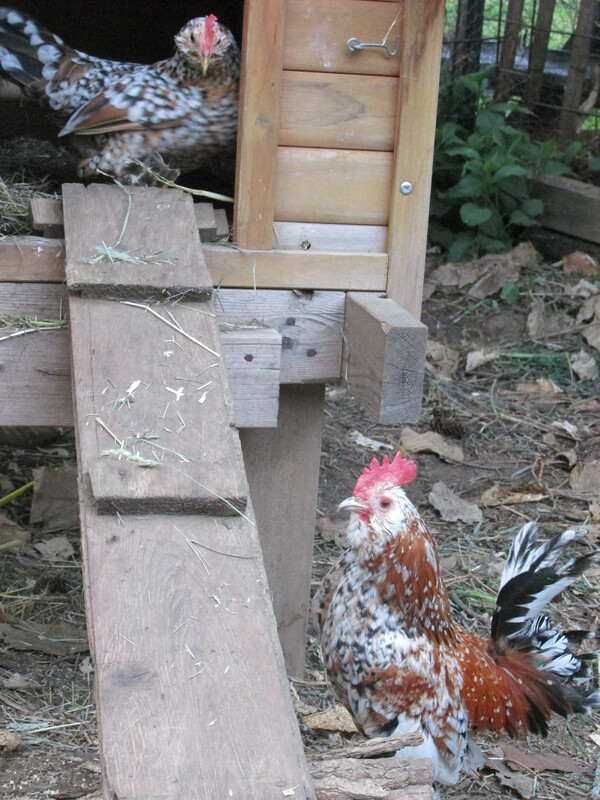 Yesterday Charlie, Tyler and my daughter Betty helped me get some of the side chicken area ready for the inside hens. I will be so glad to get them out of the house it has been a long winter.The large tree which fell during a spring wind storm fell on the chicken yard and blueberry bushes in the side yard. 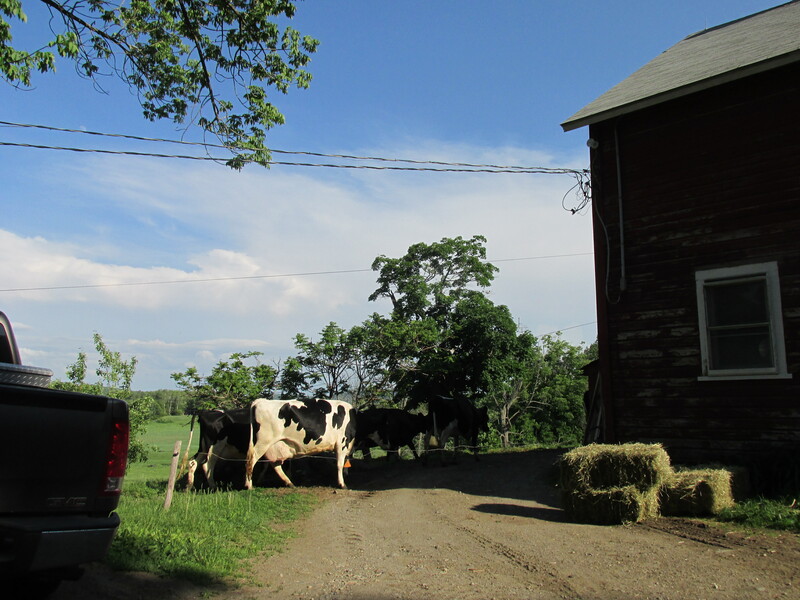 The clean up goes on.The netting and fencing are secure so this morning Hazel and Mrs. Brown went out. 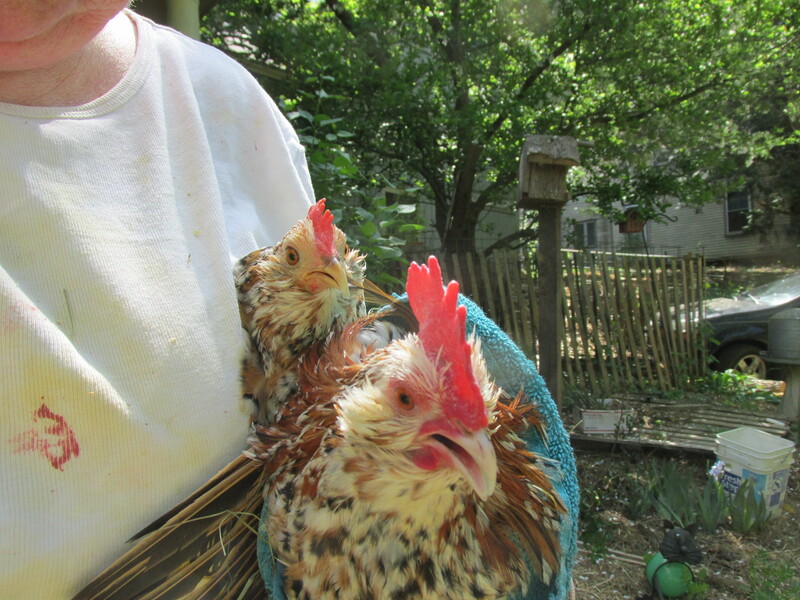 They are happy and had a great time eating bugs and taking sun, dust baths. I hope to get the others out tomorrow. I am not sure about Eddie thought. I tried to put the no crow collar on his today with no success will try again tomorrow.
. No rain to speak of but tomorrow there is a 60% chance of it. I really want to make some dandelion soap but don’t have the time now, Yesterday I went to the nearest cemetery by the river and sat myself down and picked enough for the dehydrator. My neighbor was walking her dog and stopped to say hello. It made me think how wonderful it is to live in a small town where you are safe. SOmetimes I take for granted how nice it is. 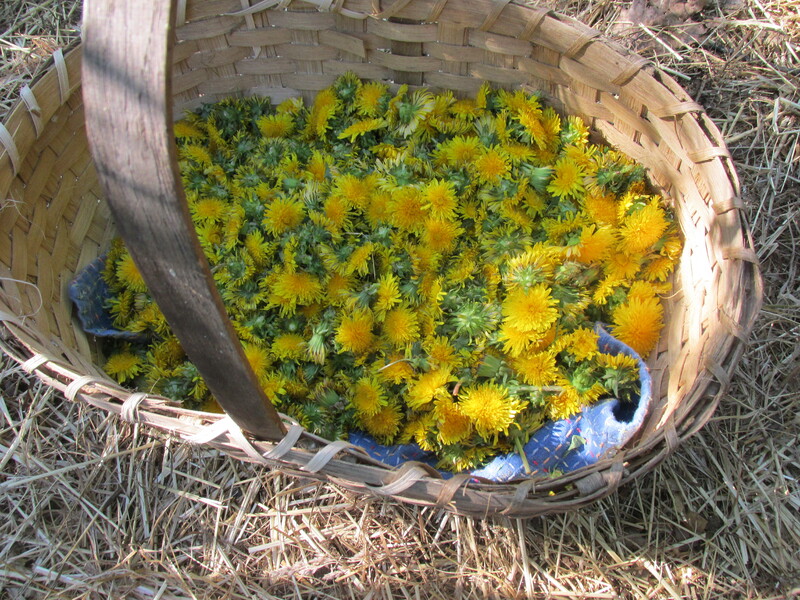 The dandelions are in the dehydrator and it won’t take long before they are dry. I will pick another basket full soon, and some to press too. I thought in the dehydrator that they would stay full but they shrivel up. I do want some that will lay flat.. I may decorate the wrapper with one on top. 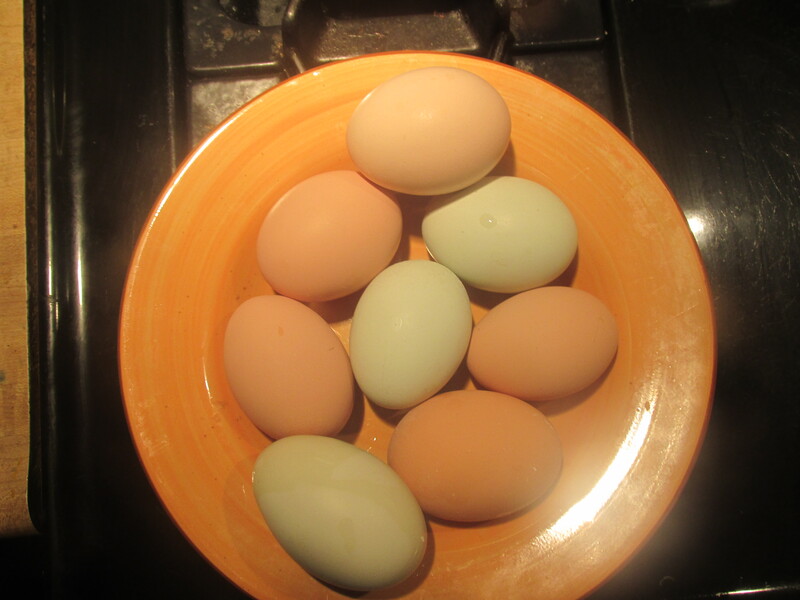 What a day yesterday I got 8 eggs!!!! I have 8 already this early afternoon and Francis is stilling in the nest. So it will be 9 today out of 10 gals that lay. I am planning on making soap tomorrow. 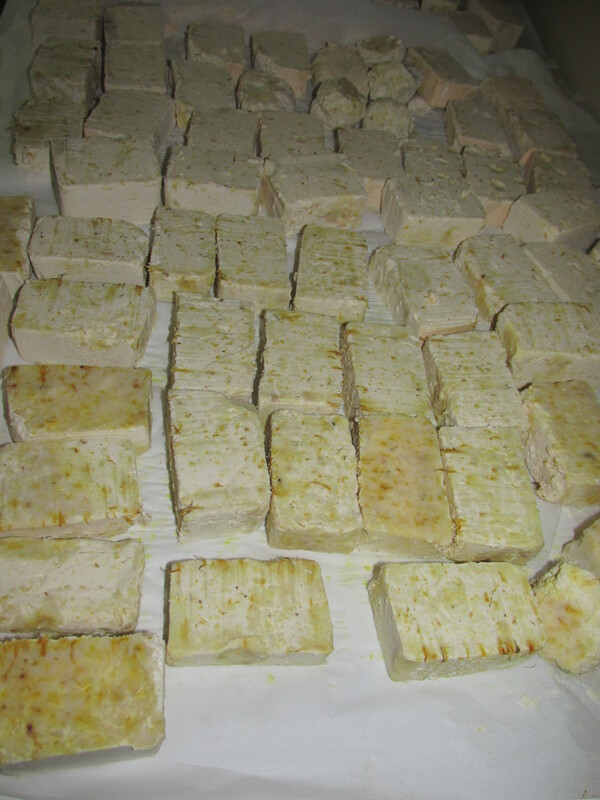 The Calendula soap will be ready for the fair and still needs to dry another few days.